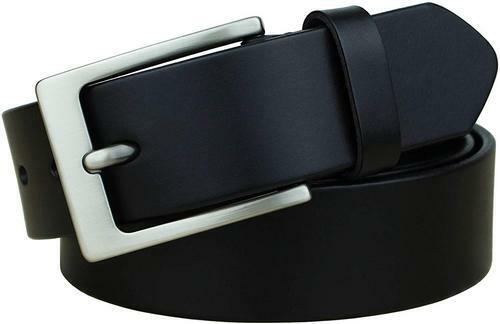 What is a SlideBelts.It's a leather belt that lets you freely adjust your belt size without the limitation of holes in the leather. In fact, there are no holes at all! A tab in the buckle catches on a row of notches sewn onto the underside of the leather, allowing for over 30 size options with 1/4" (6.35 mm) between adjustments. All SlideBelts come with a belt strap that can be trimmed to your exact waist size. The full length of one of our straps fits a 48" (122 cm) waist size. All buckles are completely removable and interchangeable with compatible SlideBelts products. Try SlideBelts out and see why there's no reason to poke holes in a perfectly good piece of leather.